Ever since I travelled to the Scottish island of Islay — home to the Bowmore, Laphroaig and Ardbeg distilleries, to name a few — I’ve been a sucker for peated whiskies. So I was super excited to receive a bottle of the new Ardbeg Kelpie, which was recently crowned Whisky of the Year at the 2017 International Whisky Competition in Las Vegas. As its name implies, Kelpie pays homage to the sea that surrounds Islay. 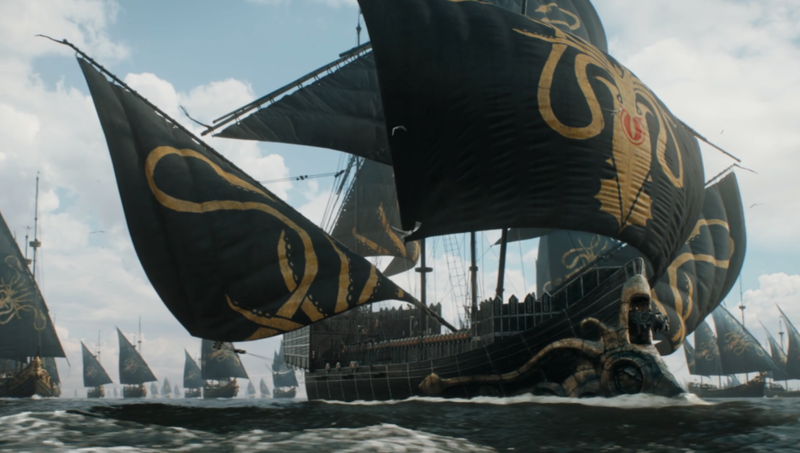 With its seaweed nose and smoky, spicy taste, it’s just the type of whisky you can imagine Euron Greyjoy drinking as he sails his squid-sigiled ships around the waters of Westeros. I think Euron would like Ardbeg Kelpie. It’s lovely on its own, but also acts as a commanding accompaniment to a cocktail. I used it to float some smoke on a Pineapple Penicillin, with fantastic results. Do be sure and grill your pineapple before juicing — the tropical campfire flavour compliments the Kelpie and adds a bright mellowness that’s perfect for summer sipping. This delicious summer sipper floats Ardbeg Kelpie atop spicy rye and grilled pineapple juice. Method: Grill several pineapple rounds, then juice. Combine all ingredients except Ardbeg Kelpie in a cocktail shaker with ice and shake to chill. Strain into a rocks glass over one large ice cube. 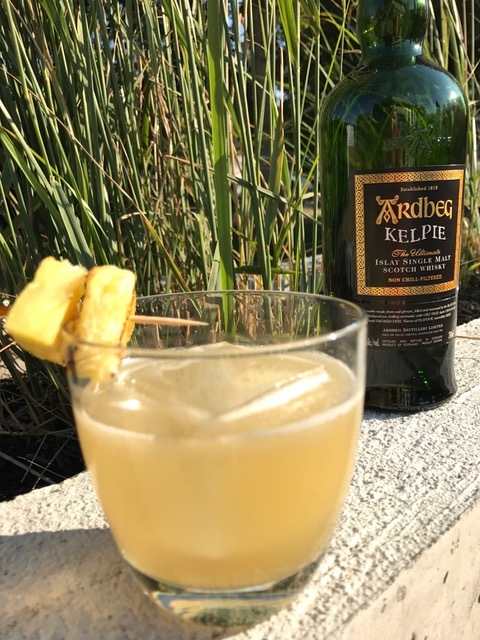 Float Ardbeg Kelpie on top and garnish with a skewer of grilled pineapple cubes. The Caesar is the most well-known Canadian cocktail, but there are many more made-in-Canada drinks — featuring local spirits, and created by the country’s top bartenders — waiting to be discovered, imbibed and ordered again and again. 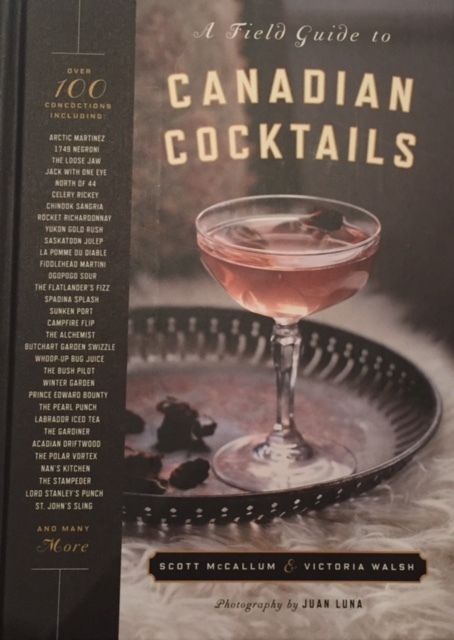 To help you navigate the country’s liquid landscape, food writer Victoria Walsh and her husband Scott McCallum have written a handy book called A Field Guide to Canadian Cocktails (Penguin Random House, 214 pages, $24.95). A Field Guide to Canadian Cocktails. It’s a mouth-watering collection of cocktail recipes from across Canada that includes a B.C. cherry-flavoured Ogopogo Sour, the delicious A Bit of Northern Hospitality from Calgary’s Proof, and even a St. John’s Sling. I went paging through the book looking for a tipple with whisky and lemon (two ingredients I have on hand), and settled on the Devil’s Barrel cocktail, created by Christopher Cho of Ayden Kitchen and Bar in Saskatoon (he previously worked a stint at Charcut and also helped create the cocktail menu at Charbar). I didn’t have a couple of the ingredients called for, so made substitutions (see recipe, below). The drink is bitter at first sip, from the Aperol and grapefruit bitters, but it’s tempered by the nice round flavour of apple, and just a touch of honey. My husband was hoping for something more whisky-forward, but agreed that it grew on him as the large ice cube wept water and diluted the bitter bite. If you’re adventurous with your drinks, it’s a curious winter sip that’s a citrusy departure from the usual suspects. The Devil’s Barrel is strong, tart and bitter. Not a starter cocktail. Method: Pour all ingredients except ice and grapefruit peel into a cocktail shaker. Add a handful of ice cubes and shake. 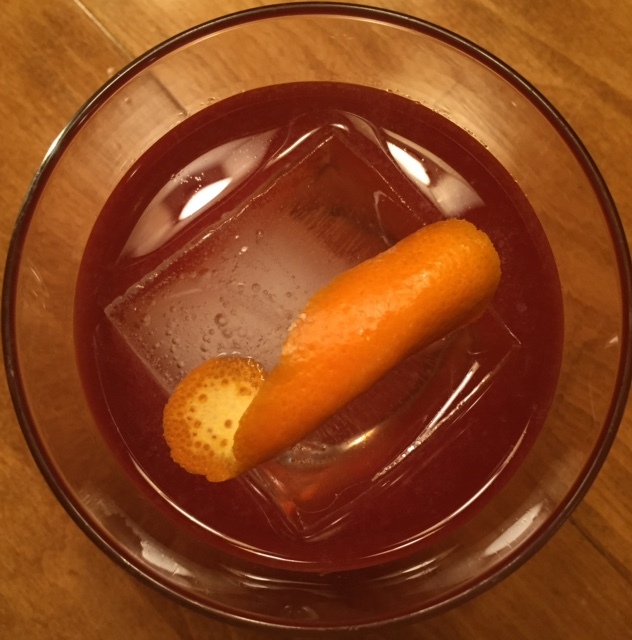 Double strain into an old-fashioned glass with a large ice cube. Spritz drink with oils from the grapefruit peel, and rub on the outside rim of the glass, then add as a garnish.